There's one thing that Filipinos love to do during free time or the wee hours of the night- online shopping!!! I presume that some of you may have already shopped online and it's an accomplishment if you have successfully purchased an item you've been longing for. Since it's summer, I have a list of must-haves that I want to buy online as online shopping is the most convenient way to shop at the comfort of your home. 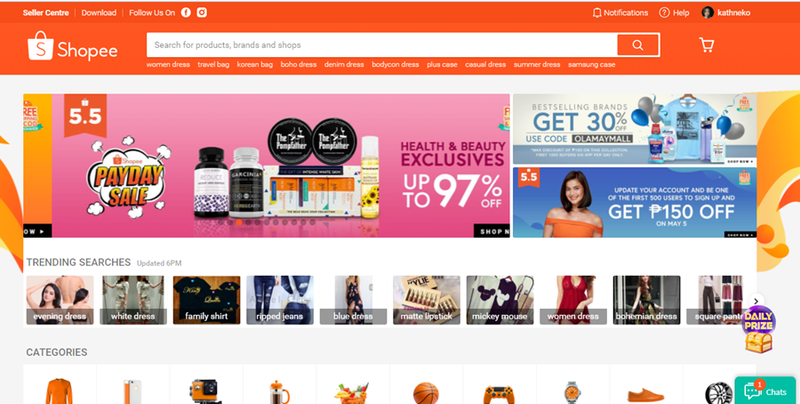 Shopee is a fun, free and trusted way to buy and sell instantly online. They are a leading mobile-first marketplace platform in Southeast Asia. At Shopee, you can buy almost everything that you need from head to toe or from the garden to the kitchen! There are so many products offered at reasonable and discounted prices under the lifestyle, fashion, beauty, health, technology, home & living categories among others. 2. Lip & Cheek Tint- say hello to just-pinched and natural flushed cheeks. If you're a fan of au naturel makeup which is perfect for summer, you only need few makeup products that will give you that glowing beauty. A lip & cheek tint gives your pucker a long-lasting color and at the same time a natural colored cheeks that stay even if you sweat. 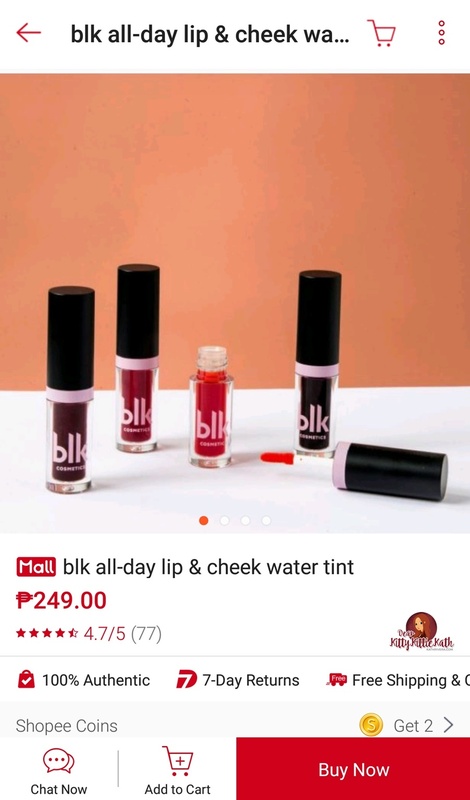 blk Lip & Cheek Water Tint promises a stain that stays. The watery but buildable tint delivers a fresh, vivid color that’s great for achieving just-pinched cheeks or just-bitten lips. 3. Color Treatment- sport a bright and colorful hair under the sun with APRIL SKIN Turn Up Color Treatment. This product is not a permanent hair dye, but a hair treatment which gives color to a hair and nourishes at the same time. The color naturally fades after 2-3 weeks. Summer is the best time to experiment with colors, so go on and try a box or two. 1. Pattern Change Umbrella- protect your skin from UV rays using this fun umbrella. This is one of the summer must-haves that I cannot live without. I always bring an umbrella with me. It protects me not only from the damaging UV rays but also from unexpected rain showers. 2. Fashionable Sunnies- protect your eyes in a chic and fashionable way! The shape of the lens caught my attention. It's not the usual I see in malls. I also love that it has a metal frame, UV protection, and comes in fun colors that will match any outfit. 3. Memory Foam Neck Pillow- perfect for long out of town and country trips. I like that it's a memory foam pillow that follows the contour of your body. 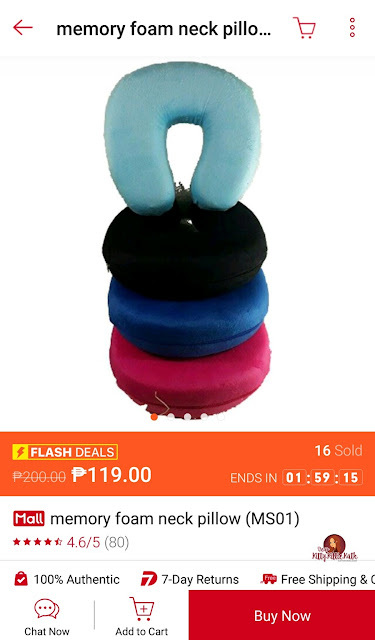 I presume that you have a company outing or family vacation soon and this pillow saves you from having stiff neck during travel. 4. Cooler Jug- this Unibest 15L Ice Box Cooler Jug is handy and takes a little space in the compartment. Made from polyurethane insulation virgin plastic. The flip lid top reverses to become a serving tray with a molded beverage cooler wide bottom base for increased stability. A must for every family or barkada who will go on a long drive or out of town trips. 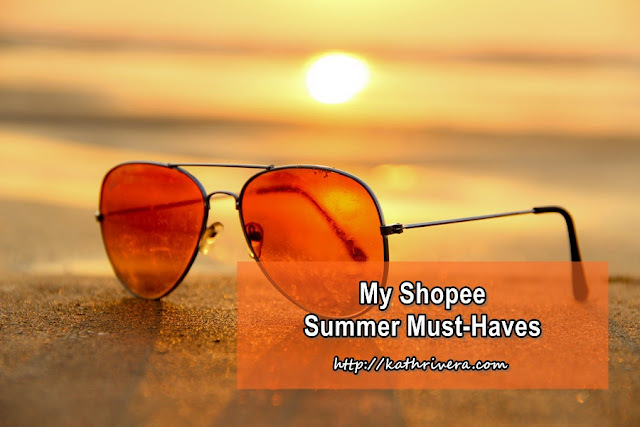 So there you go, my summer must-haves that you can score for a reasonable price at Shopee. 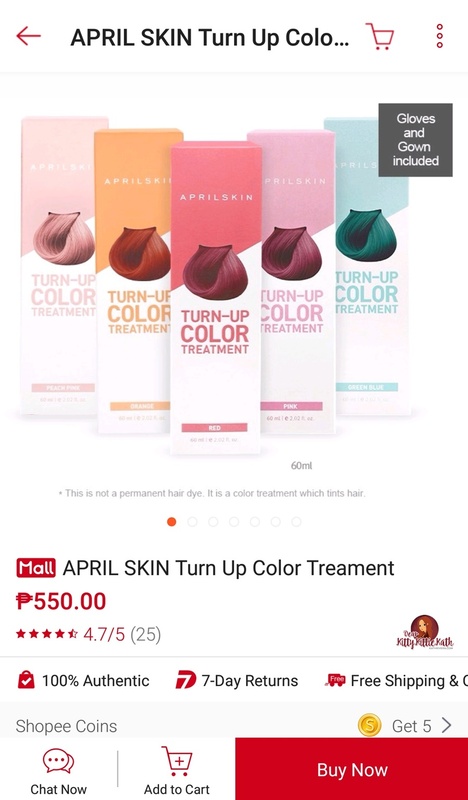 I invite you to download the Shopee App now or visit their online shop at shopee.ph. They will have another big sale this coming May 5, 2018 dubbed as the 5.5 Payday Sale. There will be special promotions from shops such as special voucher codes, buy one, take one deals and flash sales. Best part- free shipping and COD nationwide! 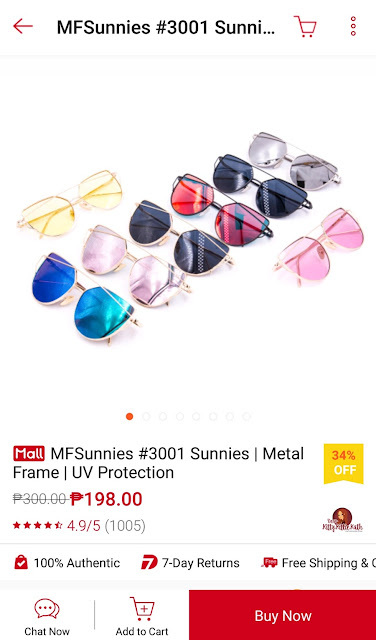 What are your summer must-haves from Shopee? 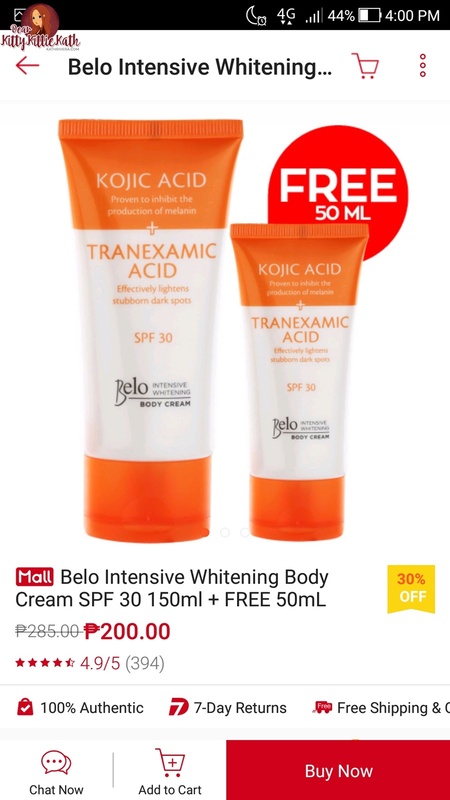 Abangers na ko sa 5.5 Payday sale nila! 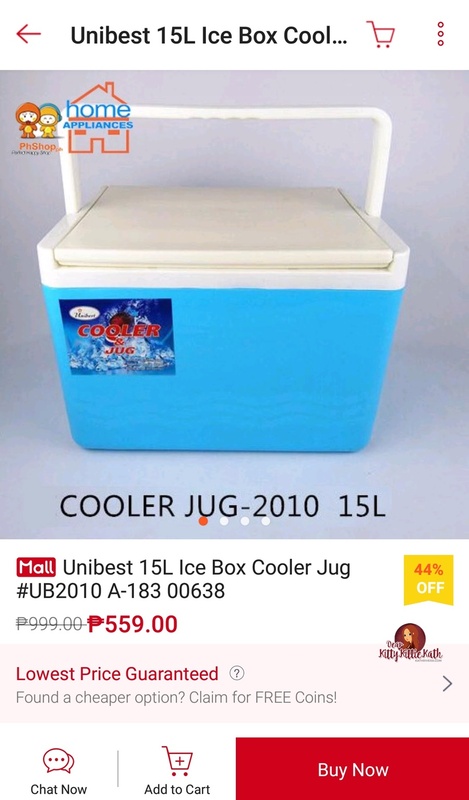 Sana maraming great deals na ioffer. What did you get from the sale? Hope you had a blast shopping. I wanted to try April skin color treatment! I'll be waitingfor the shopee sale thanks to you!! Did you get it during the sale? Let me know your thoughts. Yes, might get one nga anytime from now. Peg ko po yung Belo Kojic Acid & the umbrella.. Matibay po ba yung umbrella na yan, Miss Kath? 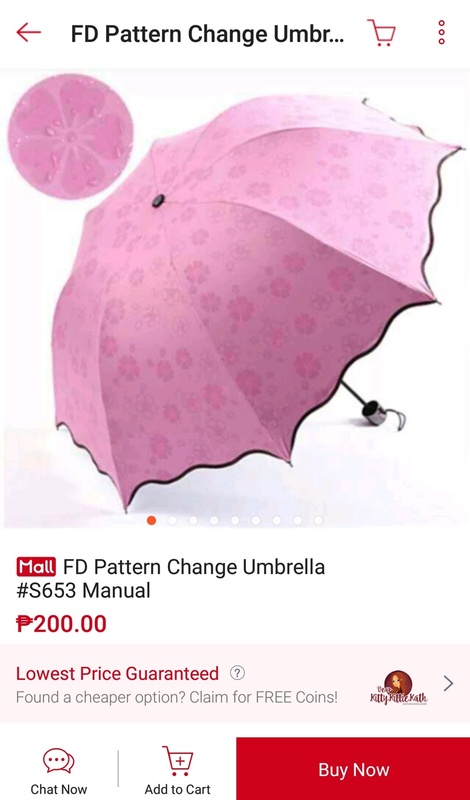 Maganda ng yung umbrella kaya lang pang summer lang talaga sya. Though nagamit sa light rain fall but nung humangin bumigay yung isang tangkay. Naibalik ko naman.